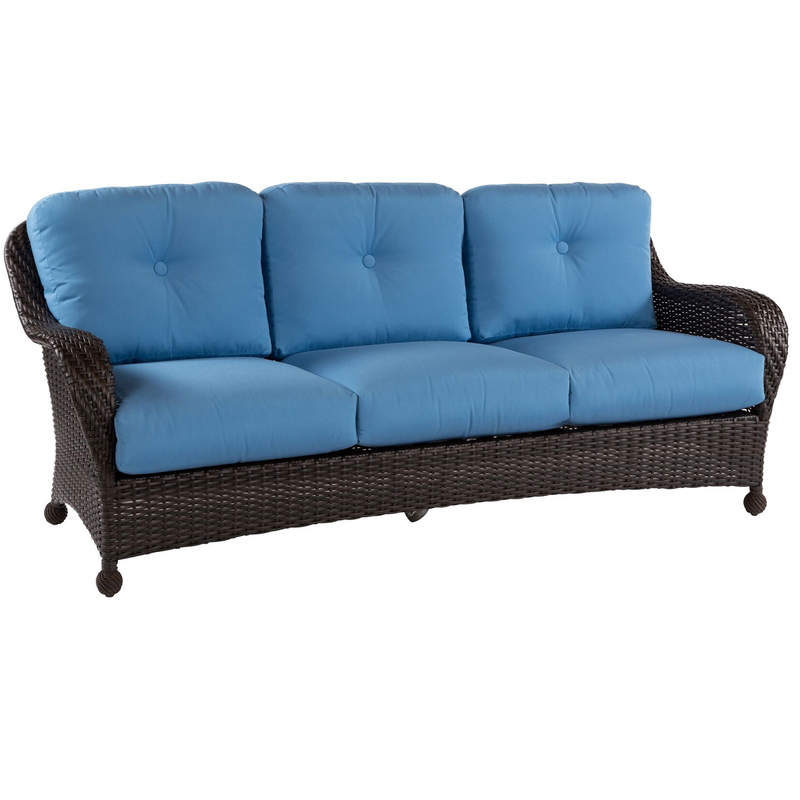 Carolina Wicker Sofa | ET&T Distributors, Inc. The Carolina Wicker Sofa Carolina Wicker Ottoman is part of a stylish modern design. The resin wick provides the look of wicker without all the work. Cushions are Made in the USA! Many stylish fabric choices to dress up all areas of your property.